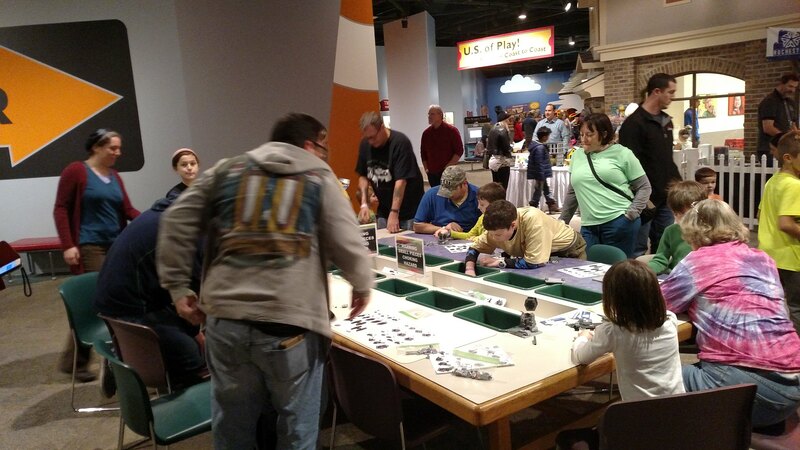 On November 11th and 12th we held an event for the Strong Museum of Play featuring two days of hands-on-building by the Museum patrons as they helped us to create two Star Wars themed displays. Each day of the event, young builders stopped at our station to work on the large displays. At any time there were as many as a dozen builders at the station, and the event was open for about 3 hours each day. The first day we had the children visitors (and often the parents too) construct Rebel Snow Speeders, Rebel Turrets and Imperial AT-AT Walkers. 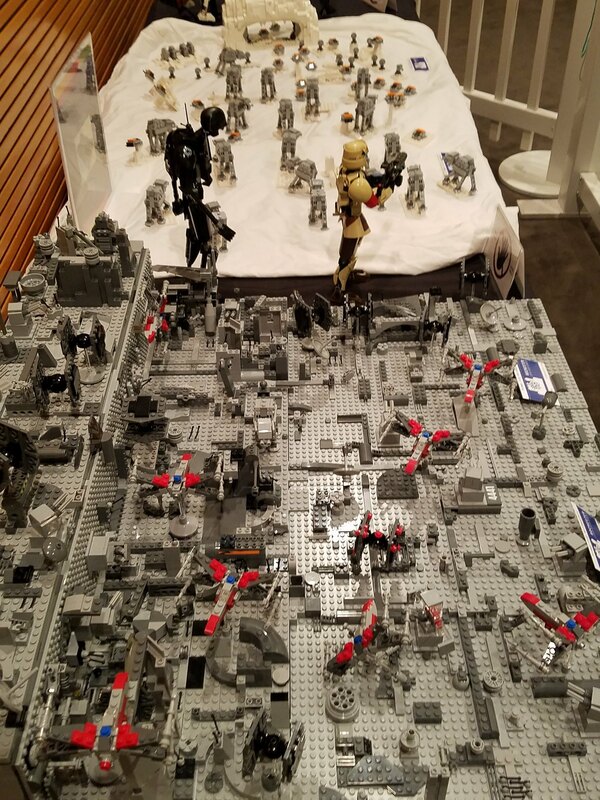 The kids then built small swaths of terrain to put the vehicles and turrets, and we helped them set their work on the display table, covered with a white cloth (and a micro Echo Base I had built to create a large Battle of Hoth Display. The second day of the event, the museum patrons helped up to make a Death Star Trench Scene. Each builder helped us to make a Rebel X-Wing, Imperial TIE Fighter, or a Turbo Laser Cannon to mount to the Death Star they then helped to create. Each participant then decorated a 12 stud x 12 stud section of plate that attached to a frame to create the trench. 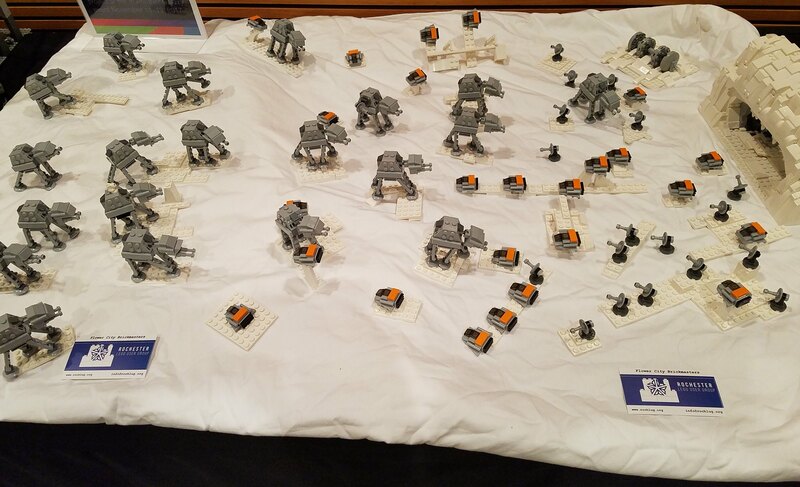 The Museum then displayed the layouts for 2 weeks, including during their In Another Galaxy Weekend on November 17th and 18th. 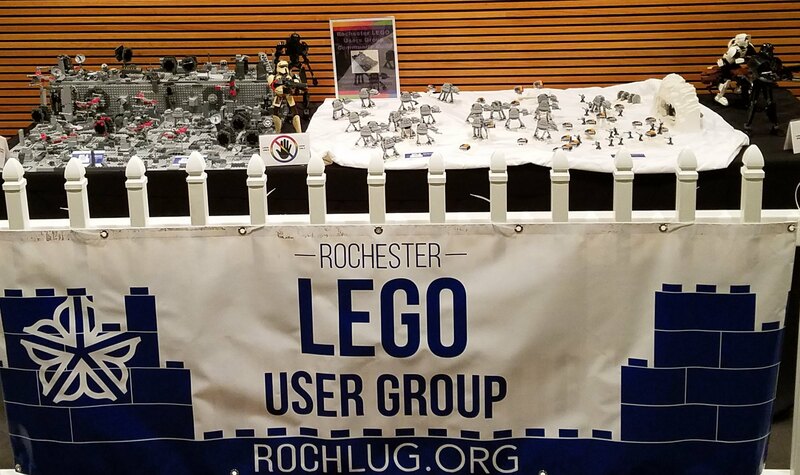 The Event was a blast, and could not have been so successful without the Strong and their staff, the patrons on the Strong who helped to create the scenes, and the RLUG members who helped to organize and worked through the event (helping the young builders to put together the kits). 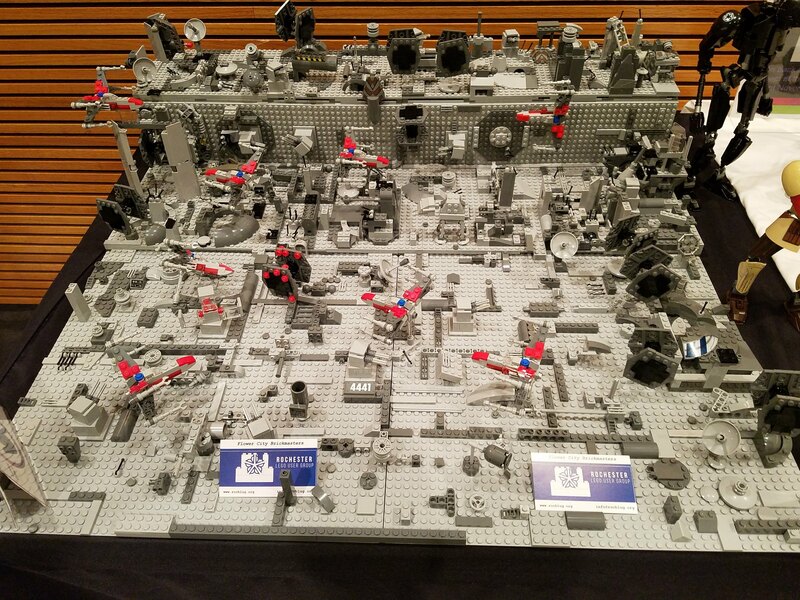 Battle, Death Star, Hoth, Kits, Live Build, Star Wars, The Strong Museum. Bookmark.